Since the first nest was discovered, laying has increased at a phenomenal rate. 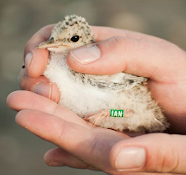 The total number of active nests/pairs on consecutive days (Tues 22nd May-Friday 1st June) worked out as follows: 1, 2, 8, 11, 19, 33, 44, 62, 75, 79, 82 and as of this afternoon 84 nests with 218 eggs. An amazing tally already and we're only one month into the project! I've never had so many nests with eggs to monitor at the one time before. First thing each morning, a round of incubation checks are completed, with the presence of a sitting bird confirming that a nest is still active. Later in the afternoon, myself and Laura enter the colony to check any recently discovered nests for an increase in the number of eggs or indications that the clutch is complete (i.e. no change in the number of eggs laid over 3 days). We like to get this over and done with as quickly and as safely as possible, so a time limit of 30 mins spent inside the colony in dry/warm conditions only is adhered to. Recording new nests is often done whilst we are already in performing nests checks or preferably when we have a batch of at least 3 to mark off. It has been quite a challenge making sure we keep to our schedule whilst at the same time being on the ball enough to locate and mark off new nests which seem to be popping up all over the place. It is likely that new laying will start to trail off in the coming days and with that, any need to enter the colony...that is until the eggs are due to hatch! We also have our first nest south of The Breaches, in what is known as the N-colony (i.e. on the Newcastle side). This sub-colony can hold anything from 5-20 pairs depending on how crowded the K-colony gets or if a disturbance event there has enticed them to move elsewhere. 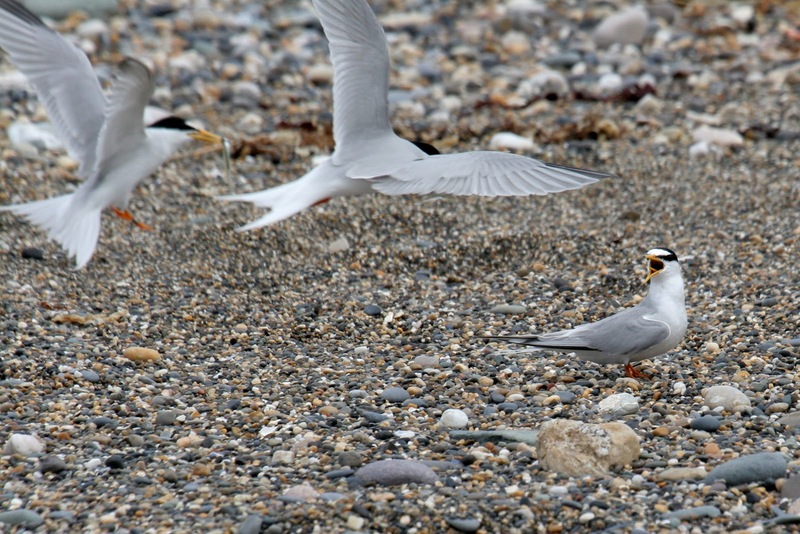 The large numbers of raucous terns now in full breeding mode is certainly beginning to draw some attention from the local predators. Hooded Crows have been testing the terns defence capabilities and the wardens patience over the last few days in particular. High tide seems to be when they are at their most cheeky as feeding on the estuary is temporarily put on hiatus. During this time they can often be found sitting along the railway fence surveying the site or hanging out around the mouth of The Breaches. 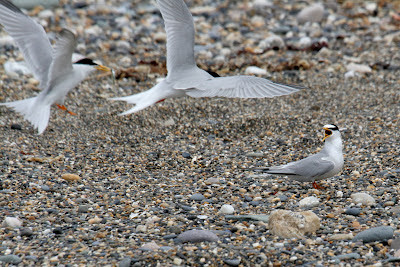 The terns do well to keep them at bay with persistent bouts of mobbing and swooping whilst myself and Laura have been running around, waving arms, shouting, throwing stones and generally looking a bit manic! Fox activity at night has begun to pick up also. 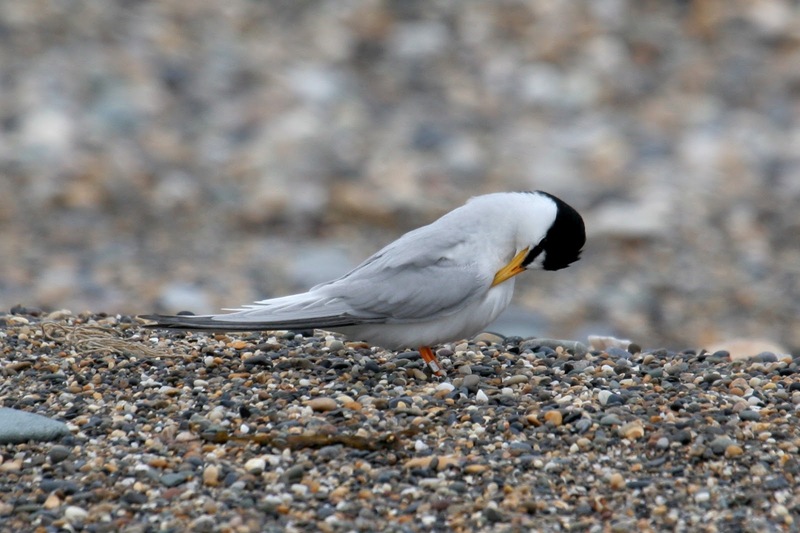 Cole reported up to 4 individuals in the general area this week, one of which was moving along the railway line south of The Breaches whilst another was walking across the embankment between the estuary and the marsh right beside the wardens camp! Thankfully none have made it on to the beach yet & there has also been no sign of any Hedgehogs for the moment either. Some birding highlights over the past few days have included a female/immature Marsh Harrier that flew North on Wednesday 30th May, being mobbed by Lapwings and a great mornings seawatch on Thursday 31st May which saw a Balearic Shearwater, c.4,930 Manx Shearwaters, 11 Fulmar, 2 Puffins, 6 Common Scoter & 3 Black Guillemots move North between 07:20am and 09:20am. 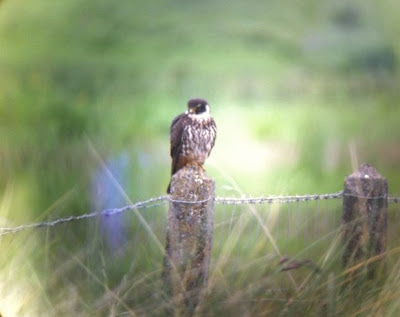 An immature HOBBY was seen at BirdWatch Ireland's East Coast Nature Reserve (approx. 1.5km to the south of us) yesterday afternoon followed by a couple of sightings of what was presumably the same bird right on site later that evening. It was even seen sitting on one of the colony fence posts and caused a bit of a stir amongst the terns!